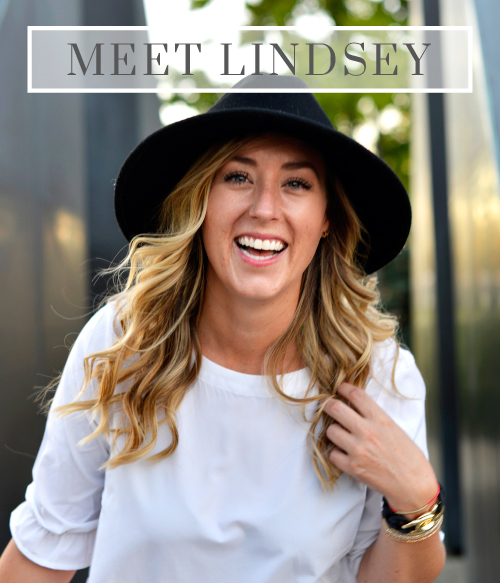 It’s Monday and we have vowed this is going to be the week we finally get caught up on the blog. We literally have 16 unfinished posts sitting in our drafts folder that we plan to spam you with everyday this week, next week and the following week. That’s our plan anyways, we will see how it goes. We are still trying to wrap our minds around the fact that summer is over, most pools will close after this weekend and Saturdays until Thanksgiving will now be dedicated to Ohio State football; it feels like blogging has been on the back burner for too long. A couple Thursdays ago Evelyn and I had the chance to attend the Grand Opening of the Bexley Market District Express. 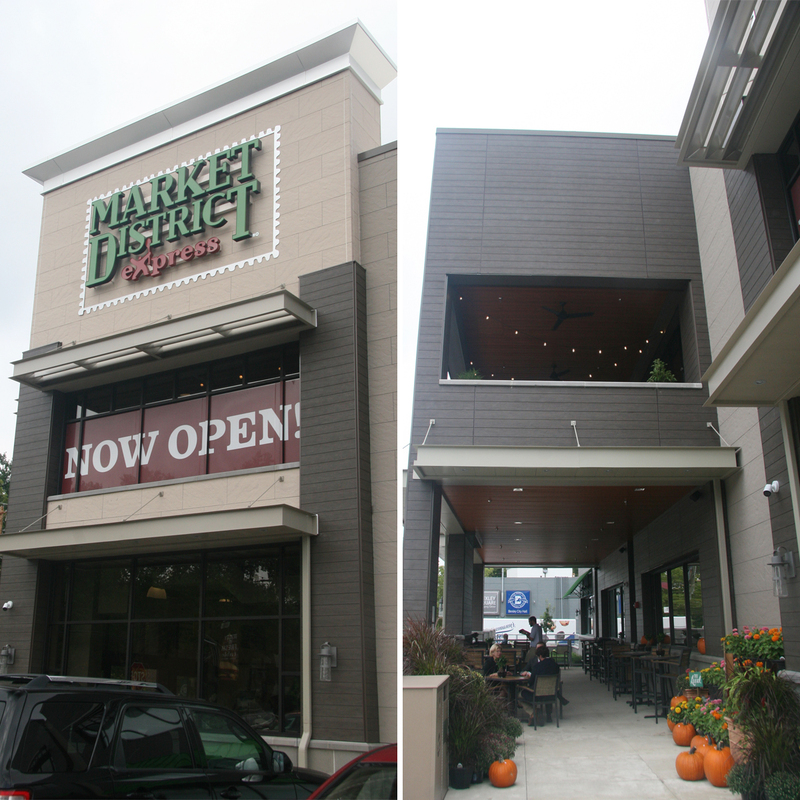 Market District Express is a unique shopping destination that will offer customers the best of Market District in a more intimate setting. 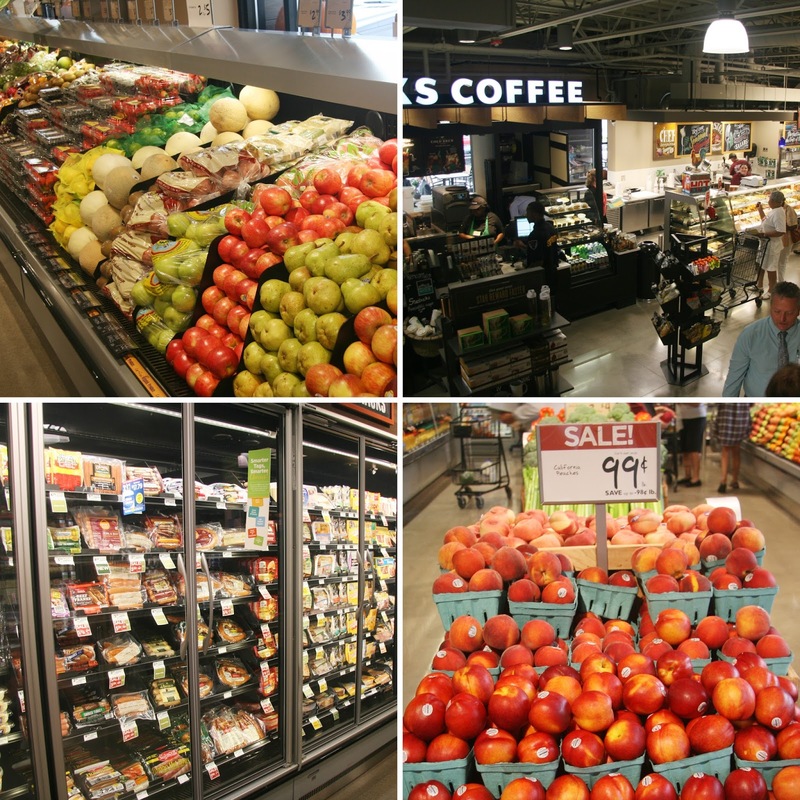 Located at 2250 East Main Street, the 30,000 square foot, two-story location will offer an array of specialty, kosher, local and organic grocery items to aid customers in completing their weekly grocery lists. There are approximately 70 supermarket and 40 restaurant team members who help bring the large store to life and keep it running smoothly. Founded in 1931, Giant Eagle Inc., is ranked 36 on Forbes magazine’s largest private corporations list. It is one of the largest food retailers and distributors in the nation with approximately $9.5 billion in annual sales. 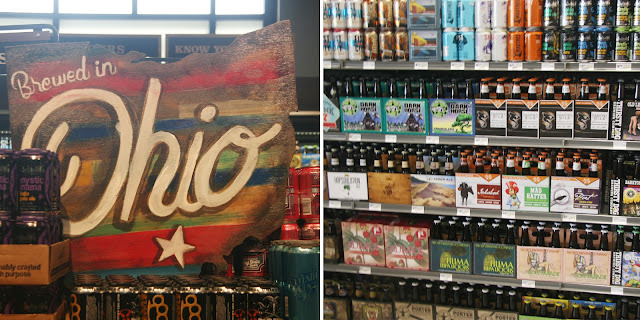 Carefully curated products from more than 20 local purveyors, ranging from pasta sauce to potato chips, and sourced from within 150 miles of the store, add a taste of central Ohio to the Market District Express aisles. From fresh produce and artisan cheeses to a robust prepared food selection, customers will enjoy a world-class grocery assortment featuring items from local Columbus purveyors and those around the globe! Large, accessible elevator to take customers and their carts to the second floor for more shopping. 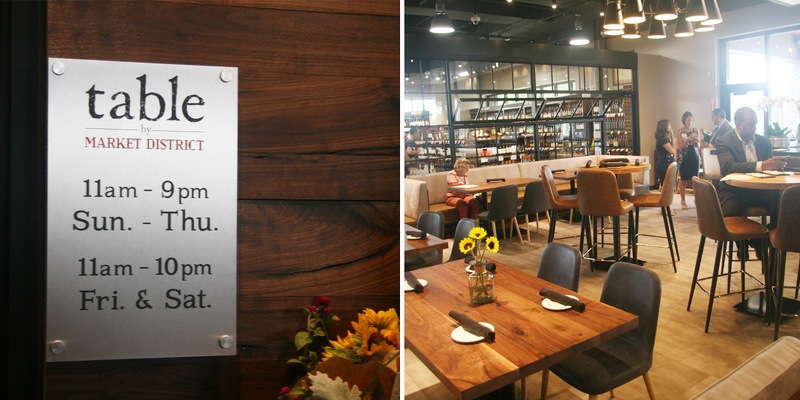 The Bexley Market District is also home to the newest addition to the thriving grocery store – table by Market District is making its Ohio debut on the second floor of the new location. Market District’s signature restaurant will offer diners a full-service restaurant experience, complete with seating for 155 that includes a patio and bar, a new menu inspired by fresh, seasonal ingredients, with everything being priced $6-$11 per plate and over 20 delicious menu options! In addition to gourmet meals, table by Market District will boast the most extensive beer and wine lists in Columbus. Patrons can enjoy 18 craft beers on tap or select from the 1,200 varieties of wine available in store with a $10 corking fee. Evelyn spun the wheel and won the big swag bag prize! We took a private tour of the grocery store which was really informative and neat to see all of the behind the scenes action. While on the tour we learned that beginning in September, enrolled Bexley-area schools will earn double Apples for the Students points! Customers can visit this site to learn more about the Apples program and you can also register your advantage card. In addition to a full bar, Market District Express will carry more than 1,200 varieties of wine and more than 400 craft, domestic and imported beers including offerings from local breweries such as North High, Seventh Son and Columbus Brewing. At the end of the tour, Market District hooked us up with an awesome bag of goodies to take home! If you get a chance to head out to Bexley and check out this new grocery store it is definitely worth a visit. 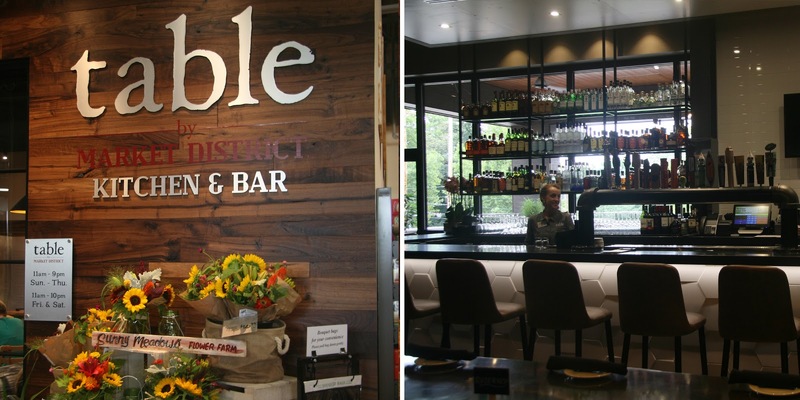 We can’t wait to return and try table by Market District. Special thanks to Hinson Ltd. Public Relations and Market District for having us and for the incredible swag bag at the end of the tour. We had so much fun and will be back soon!